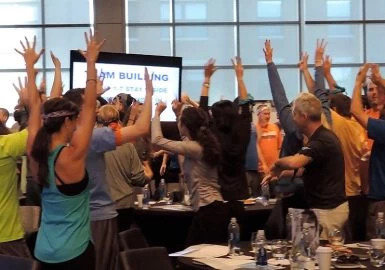 Best is the largest provider of corporate team building programs in North America. We deliver events at the location of your choice without any travel costs. 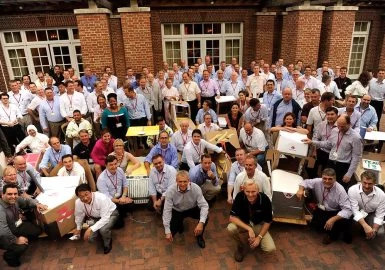 We have designed and trademarked many of the top team building activities in our industry, for example, Bike Build Donation® and Build-a-Wheelchair®. This includes a new line of high-tech team building events. These programs utilize apps we’ve developed and iPads we provide. Our unique program lineup combines fun with a higher level of problem-solving, innovation, and strategic planning. Our events are designed to enhance individual and team growth. 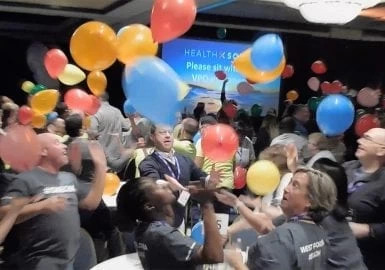 These experiences allow groups to have a strong connection to team bonding, trust, and communication. 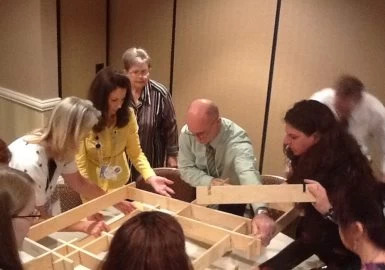 Team building solidifies the cohesiveness of your team members. As a result, it provides key insights and applicable skill sets to create an effective team. As seen on the popular TV game show, and adapted for team play, your group will participate in rounds of fast-paced tabletop challenges. The competition heats up as one-minute games are practiced and scored using commonplace items like pencils, plastic cups and a deck of cards. Teams will cheer and have a blast as they vie to be named A Minute 2 Win It! Champions! 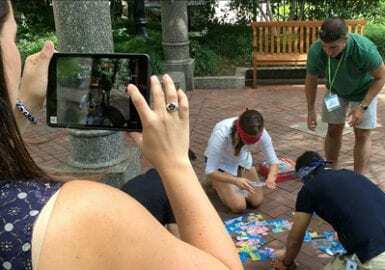 Your group will star in its own Amazing Race with this exciting, technology-driven scavenger hunt. Once divided into teams, participants are given iPads loaded with instructions to navigate a custom route. Along the way they’ll hunt for clues, complete photo and video challenges, answer quiz questions, solve puzzles and more as they race to cross the finish line first. Ready, set, GO! In February of 2018, we produced the largest Bike Build Donation in history where 3,400 Lowe’s managers built and donated 1,048 bicycles! 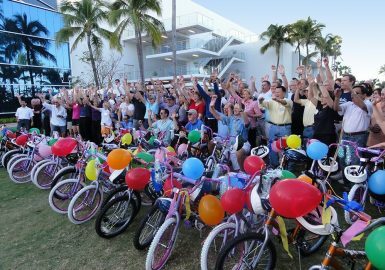 Ignite your team and give bikes to deserving children with this corporate giveback program. Teams will utilize their communication and organization skills to assemble, decorate and donate bikes while completing fun, engaging activities delivered through Apple iPads® along the way. In this collaborative event, teams work together to build an actual bridge that has the strength to support the weight of the entire group. There are two amazing aspects of this project. Each section of the bridge will be an independent artistic representation of your future mission and goals AND the principal building materials of the structure are cardboard and duct tape! 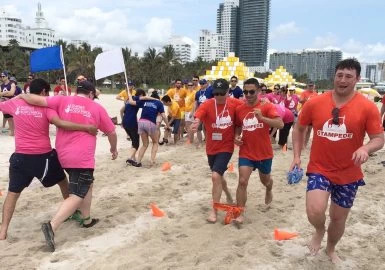 This high-energy event will bring out your group’s competitive spirit as they work together to design, build and race their very own “seaworthy” vessel! Once their initial rafts are built, it’s literally sink or swim as each team takes to the water to test their craft in an effort to identify possible design flaws before the races begin! When the heats start, the excitement mounts—which crew will take home the gold? This dynamic team challenge will test each participant’s problem solving skills and creativity. 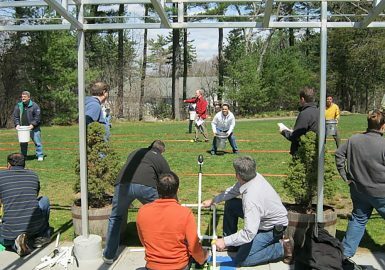 Teams will utilize their creative brainpower to build a working catapult, which will launch small objects when completed. 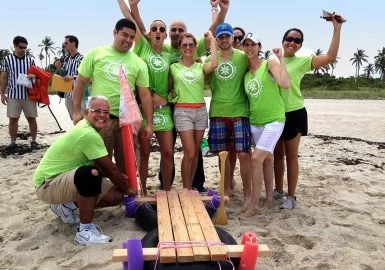 This corporate team building activity has two distinct launch phases, which add to the challenge and fun. The first phase is the launch-for-distance competition, while the second phase tests accuracy. The pressure to succeed builds, as each team attempts to earn the most points. 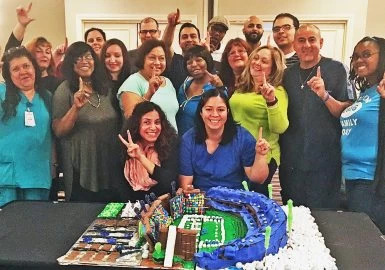 During this delicious team building event, your group will design and build a themed structure, utilizing various candies and chocolate delicacies. Teams will complete challenges, using Apple iPads, in order to gain chocolate building materials and a variety of confectionary decorations. 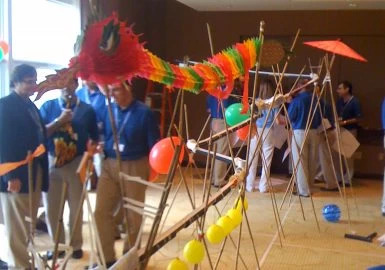 After the last Skittle® is put in place, teams come together to showcase their themed masterpiece! 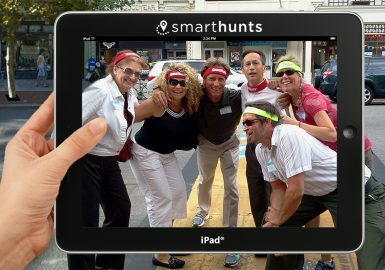 Explore a museum, local landmark or an entire city with the City SmartHunt®, hands-down the coolest smart-tech scavenger hunt in the industry. Equipped with Apple iPads containing our proprietary app, your team will be led on an exciting journey as they hunt for items, solve clues, answer trivia and more. Each hunt is customized to accommodate your group’s size, location and team goals. 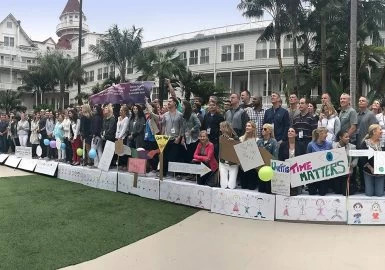 An engaging training program that highlights the positive impacts of organizational synergy, both in sharing best practices and celebrating your colleagues’ successes. It begins with two sub-teams completing various challenges separately, attempting to improve their own performance and reaching goals for the other team to beat. This is followed by a surprise twist that reinforces the message of team collaboration. Corporate Survivor is a riveting and competitive team building event that will test the full measure of your team's abilities. Loosely fashioned after the hit reality show, it challenges your tribal group to survive a series of unique and challenging activities. Giant Slingshot, Blindfolded Obstacle Course, Stepping Stones and others incorporate communication, strategizing, leadership and trust. The various events will have you racing against the stopwatch, managing the unexpected in direct head-to-head competition with another tribe! We took the popular Escape concept and made it high-tech and portable by adding escape stations and iPads loaded with the SmartHunts app. Teams are now presented with more exciting and enhanced challenges then what are offered at traditional escape room venues. Plus, we can also accommodate large groups so you can have an escape event delivered for any size group at any meeting venue or even downtown in a city! Game Show Feud is our corporate game show with fast-paced rounds of survey questions specifically written for corporate groups. Winning “teams” move forward to the semi-finals and hopefully, to the Finale. Our unique design keeps everyone involved throughout the show, regardless of your group size. 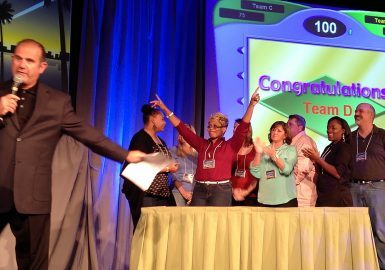 No matter how many points are on the scoreboard, you can be confident that your participants will score big with this corporate Game Show Feud! 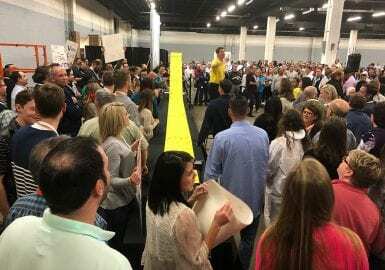 Our Corporate Game Shows are the perfect way to motivate your employees or serve as your entertaining event. Sub-teams will man their state-of-the-art podiums to answer trivia questions on various topics. 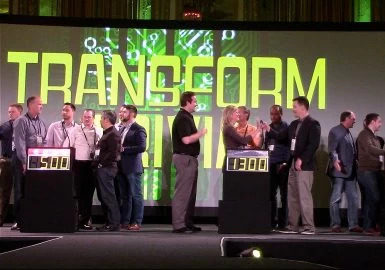 We offer an authentic game show experience complete with a scoreboard, real game-like visuals, sound effects and multiple buzzers ensuring everyone is fully engaged. At the conclusion of the game, teams will gather on the main stage for the final round to see who will be the Game Show champions! Put the pedal to the metal and get your group fired up with Go-Kart Competition, a high-octane event where teams turn into competing pit crews and drivers – designing and building their own self-powered go-karts to race to the finish line. Promoting teamwork, creative originality and hilarious fun, this event is a winner no matter which go-kart comes in first. 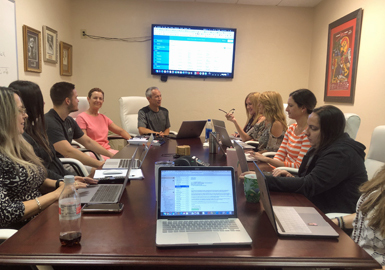 This dynamic training session will measure your group’s teamwork proficiency, identify areas that need improvement and deliver activities custom-tailored to those needs. Fun and fast-paced, participants will engage in increasingly difficult challenges, each one preceded by brief yet powerful group discussions. This program is easily modified to accommodate your organization’s unique makeup and set goals. 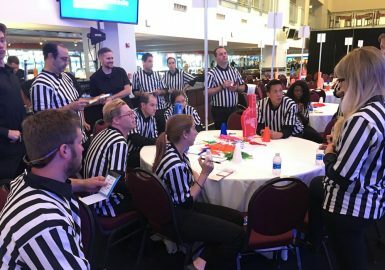 This collaborative event challenges teams to build a large marble delivery system, with each sub-team working on their own section to ultimately be joined into one cohesive, working mechanism. Each stage must be planned carefully, with participants involved in every aspect of the Pipeline project – from concept and design to construction using PVC piping, bamboo, rope and other materials. Race Car Rally is an exciting program of fun, race-related activities that enable teams to assemble the race-worthy cars, built for speed, on special Lego car platforms! As teams continually gain points through their iPad challenges, they will be rewarded with trips to our car store to obtain the parts they need for their build. Each team will attempt to build the fastest car on Lego car platforms, picking wheels, blocks, windshields, and even Lego drivers. 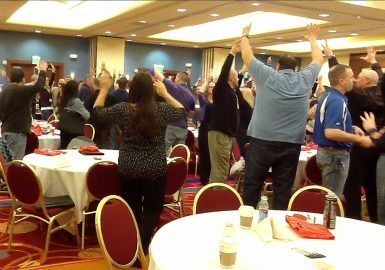 This engaging get-to-know-you event incorporates a series of fun and challenging icebreaker activities, which are conducted in small table group rotations. After every 15-minute challenge, teams are quickly reformed and a new challenge begins, allowing for maximum networking opportunities. 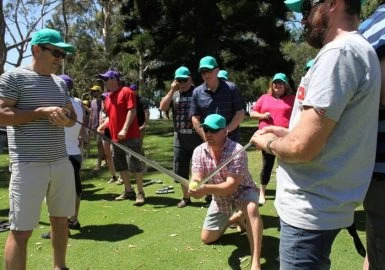 This team building program is a fun and engaging way to strengthen bonds and encourage open and productive workplace interaction. Indoor and Outdoor versions! 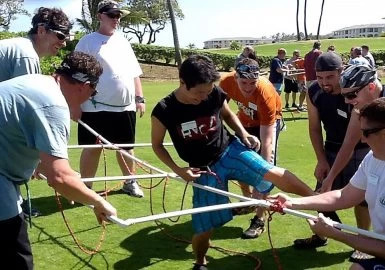 This set of fun and engaging team building games combines high-energy competition with basic athletic ability, allowing for full and active participation. Set to music that will pump up the excitement, groups warm-up, and teams are formed and assigned a color for easy identification. Next, your very own VIP will take the opening lap around the playing field and the games begin. Your group will have a blast as they compete to stand on the winner's podium. Nothing says teamwork like a huge Corporate Canvas painted (and signed!) by employees of your company! 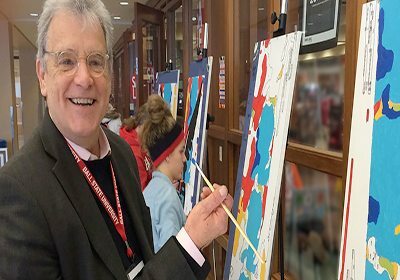 The perfect addition to any event, 50 – 100+ people can paint because all four canvases are paint-by-number and painters (employees) can spend as little or as much time as they want with a brush. Each numbered container of paint represents a different color that corresponds to a number on your Corporate Canvas, so the beauty and success of our final painting is assured. Improve your group's communication skills with this effective, challenging, multi-faceted team building event that requires each team to replicate a pre-built structure by using only verbal descriptions and high-quality communication skills through a chain of conversations. 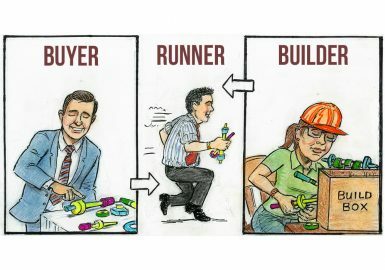 With just five members in each team, participants chose a role and must be prepared to communicate accurately and precisely as a looker, a buyer, a builder or one of the two runners in order to replicate the pre-built structure. Don't see what you are looking for? We have a wide range of events and options not listed here, and we are always open to new ideas! Choose "Something Else" on the request form and let's work together to create the perfect event for your group! Do you have your own great idea? We love to collaborate to customize existing programs or create something new from scratch. Let's combine your ideas with our experience and expertise to design the perfect event for your group. Choose "Custom Event" on our request form and call us at 800.849.8326 and we will get to work for you!